This traditionally designed vent hood, made from 16 oz. 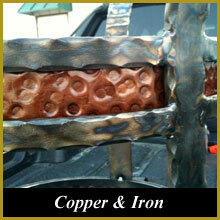 (24 gauge) copper, makes the perfect focal point for any kitchen. 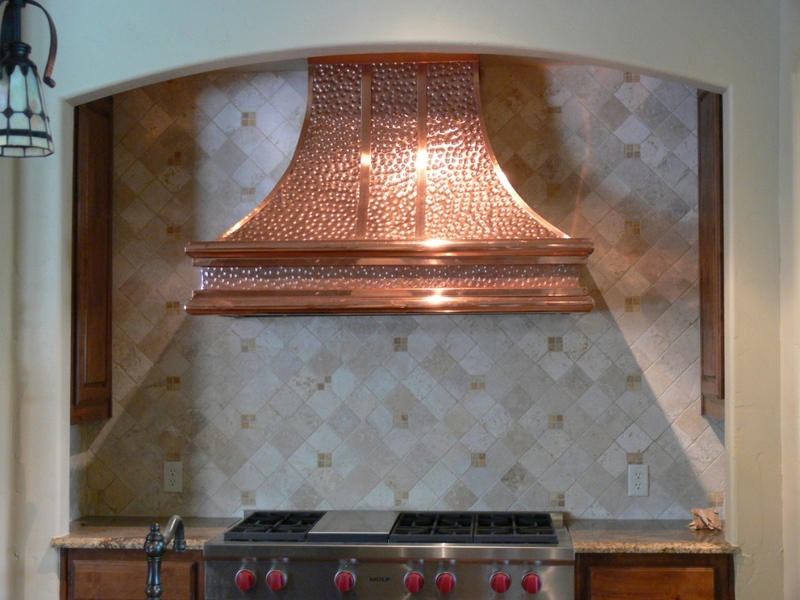 Molding and copper straps enhance the simple beauty of the vent hood, shown here in a light patina with an overall hammered finish.